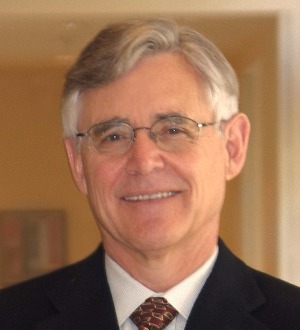 Mike Naeve is head of the Washington, D.C. office and a partner in the Energy Regulation and Litigation Group. Prior to joining Skadden, he served as a commissioner at the Federal Energy Regulatory Commission, where he played a leading role in developing FERC policies for restructuring the electric power and natural gas industries. In his legal work, Mr. Naeve has continued to be involved in energy policy and regulatory matters and has represented clients in a variety of federal and state regulatory proceedings and restructuring transactions. He also has represented numerous utilities before FERC in merger proceedings and has been involved in dozens of friendly and unsolicited merger transactions. He also has worked with a variety of utilities on innovative electric transmission cases, wholesale rate proceedings and FERC enforcement proceedings. Mr. Naeve has represented major oil and gas producers, natural gas pipelines, electric cooperatives and financial institutions in a variety of commercial and regulatory matters. He has testified before Congress on various matters ranging from electric industry restructuring to antitrust issues in the energy sector. He formerly was a member of the Secretary of Energy’s Electricity Advisory Board as well as the board of directors for the Ontario Independent Electricity System Operator. Mr. Naeve consistently has been singled out by Chambers and Partners as its highest-rated U.S. energy lawyer. In 2006, Mr. Naeve received “The Chambers Award for Excellence” as the nation’s leading lawyer in his field. In addition, he consistently has been designated as a “star individual” in Chambers USA and Chambers Global, and is the only attorney in the energy field to have been awarded such a designation. He repeatedly has been selected for inclusion in The Best Lawyers in America, The Legal 500 United States and Who’s Who Legal: Oil and Gas. In addition, Mr. Naeve was named Best Lawyers’ “2013 Washington, D.C. Oil & Gas Lawyer of the Year” and was included in Lawdragon 500 Leading Lawyers.